The Indian view of the discipline of management speaks of four pillars of Integral Management – Wisdom, Power, Harmony and Perfection. Of these, Harmony stands out as a key enabler for CEOs and business leaders to achieve their goals. An individual manager can improve his/her effectiveness by ensuring harmony and balance within oneself – between his/her inner thoughts and outer actions and between the mind and soul. Large corporations and owners of the family businesses have to ensure that harmony prevails within the various arms of the organisation. The latter have to ensure that there is a clear succession plan in place, so that no disharmony is created at any stage. Maintaining a harmonious liaison with the financial institutions and the regulatory agencies is a key concern for many MSMEs. Much like musicians in an orchestra, managers have to move in tandem with each other so as to create a symphony. A harmonious working inevitably leads to ‘synergy’, a term often used in the realm of management. From a strategic point of view, operations have to be so conducted as to remain in harmony with the environment and the society at large. A cordial relationship between the organization and its distributors allows a Marketing Manager to sleep peacefully. A Finance Manager has to ensure the right balance between cost controls being implemented and the efficiency of departments which are affected by the same. A Production Manager has to maintain harmony between his supervisors and workmen. He not only needs to deliver finished goods on a target date but also within the cost limits specified. Harmony between management and employees is essential for a smooth run of the business. 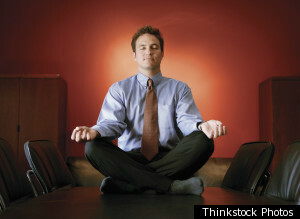 So is the harmony between employees at different levels of hierarchy and between employees of different age groups. At the personal level, the owner of a family business has to ensure that a harmonious succession plan is in place. An individual manager can improve her effectiveness by ensuring there is harmony between her inner thoughts and outer actions. 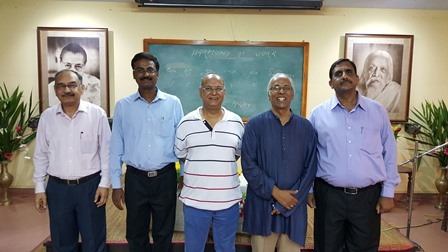 At a one-day seminar on “Harmony in Management” organized by SACAR on the 20th of March, 2016, speakers from a wide spectrum of managerial expertise addressed the participants on the need for, and the ways to achieve, harmony in operations. 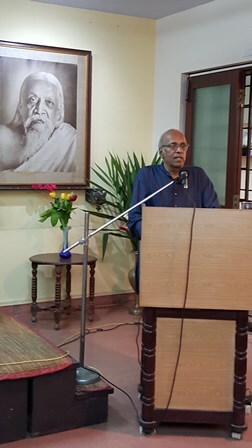 Dr. G. Natchiar, co-founder, Emeritus, Director Aravind Eye Hospital, Madurai, the chief guest, stressed upon the importance of the Vision and Mission of an organization. She not only spoke about the “Aravind Eye Model” but also shared with those present,the innovative HR policies of Aravind Eye Care. Dr. Natchiar highlighted the frugal aspect of her organization which enables it to continue to offer affordable eye care to people of India and bring about harmony in its operations. She detailed the steps taken to improve the productivity of doctors, thereby making the operations cost-effective and the institution becoming a role model for similar health care providers in other parts of the world. 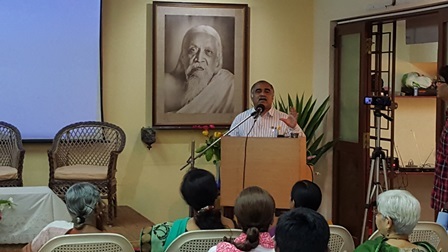 Dr. Ananda Reddy, the Director of SACAR, elaborated upon the four essential components of Harmony ― Collaboration, Goodwill, Benevolence and Tolerance. These alone enable organizations to work and progress smoothly. Management education in India needs to be re-engineered to impart training in these components as well, so as to make it more holistic and in tune with the times. 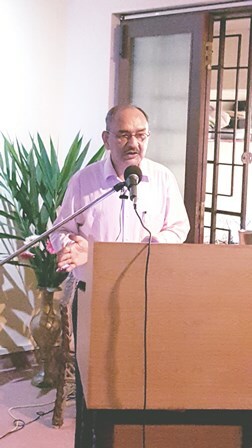 Mr. B. R. Babu, IAS, Secretary Welfare, Government of Puducherry, shared with the participants his experiences of bringing about industrial harmony in public sector undertakings. He highlighted the need for managers to take ownership of their tasks and fulfill those within the ambit of the law. 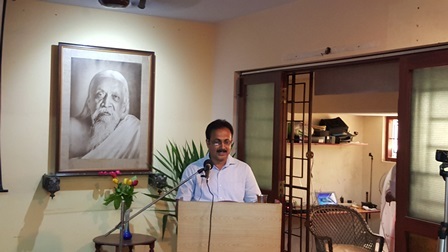 Prof. Sibnath Deb, Prof. of Psychology and Director Incharge of the Directorate of Distance Education, Pondicherry University, elaborated upon the psychological aspects of inter-personal relationships which alone contribute towards bringing about harmony and happiness in one’s personal life. Yours truly spoke about ways of establishing harmony at work. I touched upon the manner in which challenges faced by managers from customers, suppliers, personnel, superiors, peers and subordinates could be successfully met. 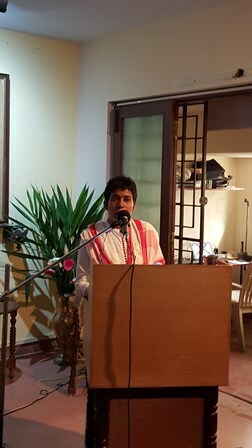 Mr. Ganesh Babu, Director of “Winning Minds”, emphasized the importance of harmonizing oneself first. He stressed upon the fact that performance of CEOs is evaluated based on not only the results they achieve but also the quality of relationships they have with other stakeholders in their organizations. 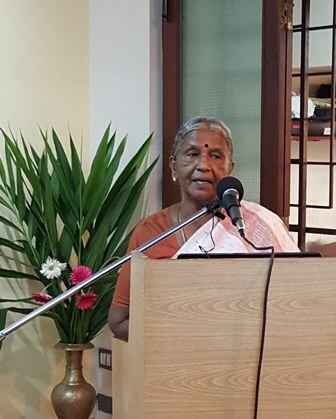 Ms. Uma Prajapati, Director of Upasana, Auroville, spoke of the inner call of a professional designer and the satisfaction gained when serving the community around a business. She highlighted her singular achievement of creating Tsunamika, a tiny doll, which brought about a positive change in the lives of women affected by the 2004 tsunami. Prof. Kisholoy Gupta conducted an interactive group discussion which led the participants to articulate their major takeaways from the day-long event and also imparted the value of appreciating others. 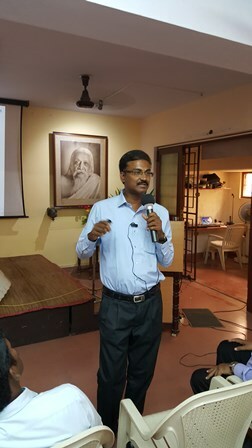 Dr. Arvind Gupta, Assistant Director, Directorate of Distance Education, Pondicherry University, coordinated the entire event. His back up support was invaluable in the planning as well as the hosting of the entire event. Dr.Shruti Bidwaikar, Assistant Director, SACAR, summed up the proceedings and offered a vote of thanks. The seminar received an overwhelming response from participants coming from various walks of life, like government officials, management educationists, corporate executives, businessmen, Aurovillians, entrepreneurs and students. The Integral Management Group of SACAR had already covered the facet of Perfection during September 2015. The next event, focusing on the facet of Power, is planned to be hosted during August, 2016.